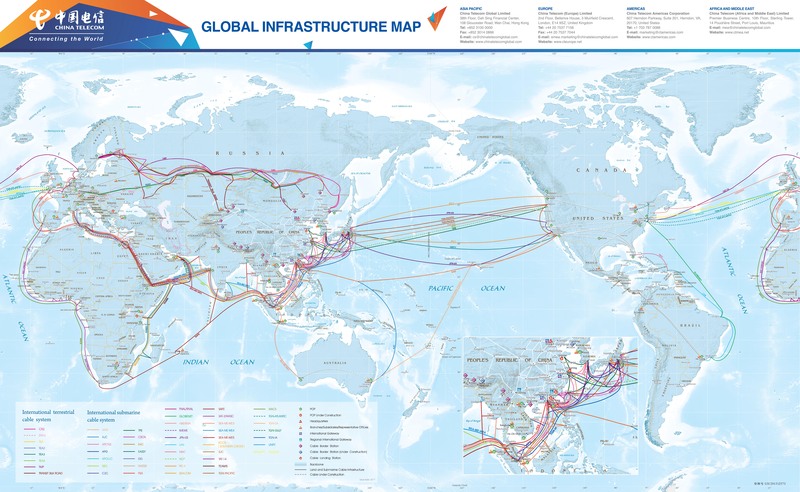 China Telecom’s Global Internet Services offers enterprises access to ChinaNet (AS4134) and CN2 (4809) through a variety of bandwidth speeds and Internet access technologies. In addition, China Telecom offers your choice of service levels and dedicated connections from over 110 markets worldwide. Gain premium connectivity to China and one stop access to global Internet resources. SLA backed Quality of Service (QoS) and five Classes of Service (CoS) enable prioritization of traffic for maximum performance and virtual routing. Completely new IPv6-capable backbone built on Cisco and Juniper technology utilizing new softswitches, DiffServ and MPLS. Multiple access speeds (T1/E1, DS3, OC-3, FE, and GigE). Dual-POPs in 161 cities and Dual-PEs installed in 148 Single-POP cities. Network security ensured with AS-SET updates, DNS Registry and Anti-DDoS services. Questions about which solutions are right for your organization? We can help! © 2019 China Telecom Americas Corporation. All rights reserved.